I like thick soups. I want to spread my bean soup onto thin toasted slices of bread and then drizzle them with a more than generous amount of my best extra virgin olive oil. I can’t help, before attacking the soup with a spoon, I have the physical urge to make me a crostone. It’s the quintessential Tuscan pleasure: a flavourful soup made with poor ingredients, a few slices of bread without salt and the fruity extra virgin olive oil. Bliss. Soups are wonderful one-pot meal, though I began to truly appreciate them when I started working from home. I would put all the ingredients in my huge cast iron pot in the morning, stir a few times during the following hours as I check the water or the broth, then I would finish the dish with fresh herbs or extra virgin olive oil just before serving it, the final touch of the chef, they call it! You actually don’t need barely time, but organization. 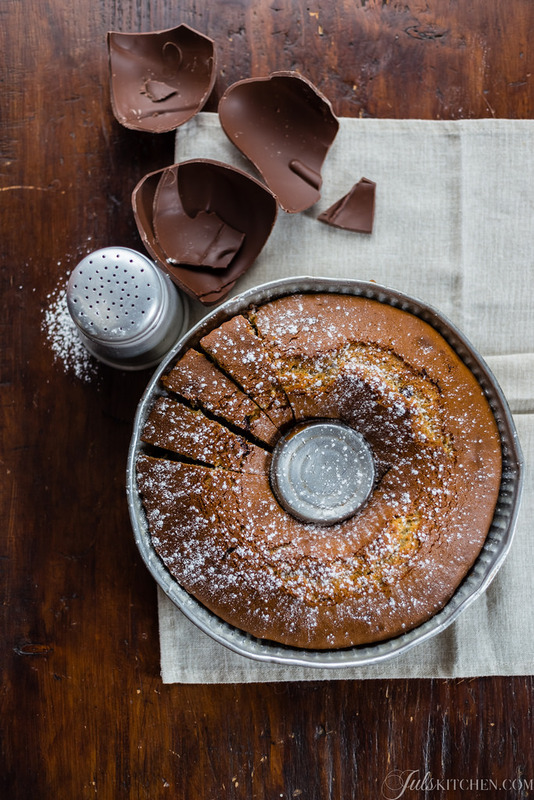 It’s not like making a three layer chocolate cake – well, definitely the time you spend making this kind of cakes it’s worth of the results – you can put the pot on the stove and clean the house, answer e-mails, play with your children, wash your hair and paint your nails, talk with your partner or read a book. You could even watch the whole Titanic and sob on your couch, the soup will keep on cooking, getting thicker, tasty, creamy, perfect for dinner or for tomorrow’s lunch. Because soups are just like lasagne, the day after are even better. So back to the basic with this month Italian Table Talk, we decided to do soups! 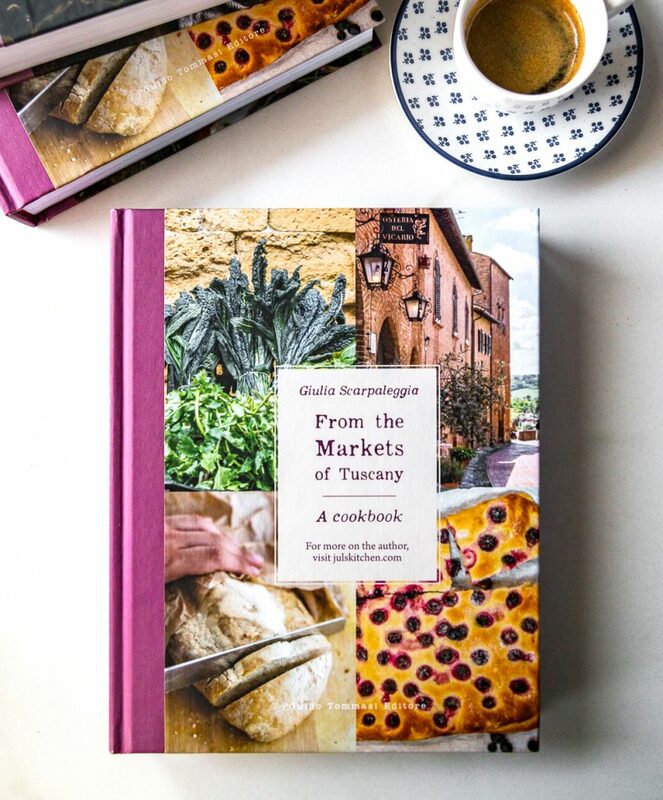 Jasmine will explain you how to make a brodo di pollo by the book, Valeria will bring you back to her Venice and will show you how to make risi e suca, a pumpkin rice soup, while Emiko is presenting a Tuscan soup with fish, zuppa di moscardini, one of my favourite, by the way. 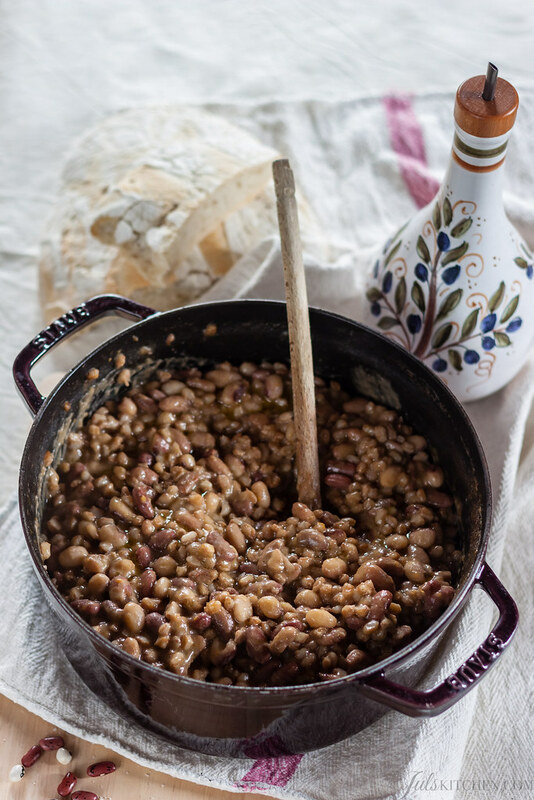 I made a typical soup of the Northern part of Tuscany, Garfagnana, a soup with farro and beans, and it is as thick as it can be! Farro is the oldest cereal grown by man, known since the seventh millennium BC in Mesopotamia, Syria, Egypt and Palestine. It then became the basic food of the diet of the Latin peoples, who used to make polenta and bread out of spelt flour. Farro is rich in protein and vitamins, it slowly releases energy combined with vegetables, fruit and cheese: it was therefore recognized as the founding element of the Roman military power – spelt (farro) and not iron (ferro) helped the Romans to conquer the world and create the immortal empire. With the introduction of other varieties of cereals, thought, the spelt farming slowly disappeared, except in a few areas traditionally linked to this cereal. In Tuscany farro is farmed from immemorial time and without interruption in Garfagnana, where there are still nearly 100 companies that produce the IGP spelt, made unique by the indissoluble bond with the territory where it is grown, the climate and the altitude. It is at the origin of many recipes of the poor peasant cooking such as zuppa di farro (spelt soup) farro and beans and a sweet spelt cake. 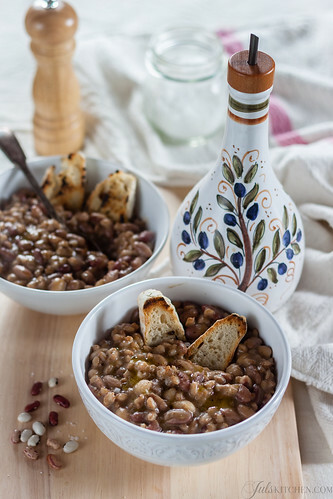 The bean soup with farro from Garfagnana seems to come directly from the stories of days gone by. It is a tasty and well balanced main dish. 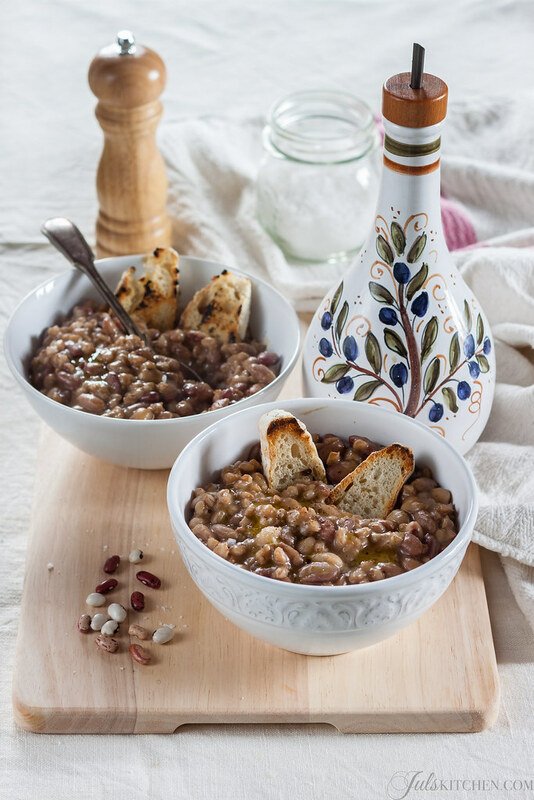 To make a real Garfagnana soup you’d need local beans as the scritto, the bianco and the rosso of Garfagnana, but you can replace them with cannellini and borlotti beans. Use more than one variety of beans to add extra flavour and colour. You can avoid lardo and pancetta to have a vegetarian version of the soup. The night before, soak the farro and beans in a bowl with plenty of water. The next day make battuto, chop finely the onion, the carrot and the celery, put them in a thick-bottomed saucepan with the extra virgin olive oil and cook them on a low heat for a few minutes. Also add a few slices of lardo or pancetta to give extra flavour. When the battuto is soft and golden, add the well drained spelt and the farro, mix thoroughly to mingle the flavours and then cover them with at least two litres of water. Add just a pinch of salt, it is better to season properly at the end of the cooking. Let the soup simmer on low heat uncovered for 1 hour, until thick and creamy. Add salt if necessary and finish with a drizzle of good olive oil and freshly ground black pepper. Wholesome and comforting! This hearty soup must be really enjoyable. It has always been a wonder and a pleasure to cook the kind of foods that have been on the family table for generations. And akin to that are the similarities in traditional foods from place to place, sometimes so far afield. My grandmother, from the American South, made white bean soup any time she had a ham bone left from Sunday dinner. And so did my mother. And so do I. (But I usually buy a smoked ham hock, because I don’t make such big cuts of meat.) I just made this last week, so I especially enjoyed your recipe for bean soup, because it is so familiar – so like my grandmother’s soup. Another touch of nostalgia is the farro; something I ate in Tuscany on my very first trip to Italy about 15 years ago. At the time I didn’t know what it was and was so intrigued. It was quite difficult to get in the States, so on my second trip to Italy I brought some back with me. Soups always bring back memories of my childhood and especially my grandmother (“Granny”). 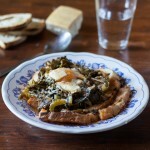 I enjoy your blog so much because through your recipes you are so connected with the family cooks of your own young years. Thank you for keeping these traditions and sharing them with all of us. PS. Do you know of a good website to do the conversions to American measures? I’m not always sure if your grams are our ounces by weight or fluid ounces. Love the blog. 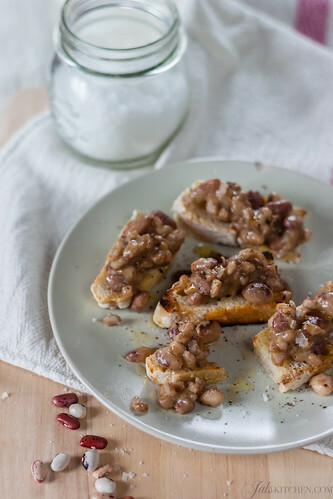 Beans, farro and lardo?? This is pure comfort in a bowl! Love it! Oh that is my favorite kind of soup! next post: Potato, porcini and chestnut soup. It’s just home cooking, after all.